How can the United Nations Sustainable Development Goals (SDGs) be used as a teaching tool to engage students and deepen their understanding of our global environment? Join World Savvy, in partnership with Generation Citizen and IIE’s Generation Study Abroad, at IIE’s headquarters, 809 United Nations Plaza, New York, NY, for a one day workshop for educators focused on gaining a deeper understanding of the SDGs and how to use those goals to support student learning. Explore the SDGs through specific case studies that provide vivid examples of global issues impacting local communities. They will also explore the global competencies that students need to become successful in a global environment. Meet with subject matter experts from the United Nations, academia, journalism and non-governmental organizations. Work with their fellow teachers to begin designing a learning experience for students using the SDGs. For more information, contact Connie Rensink. Gaudelli is Professor of Social Studies and Chair of the Department of Arts and Humanities at Teachers College, Columbia University. His research areas include global citizenship education and teacher education/development. Gaudelli has published over 50 scholarly pieces along with two books. His third book, Global Citizenship Education: Everyday Transcendence, which offers an analysis of global citizenship education in various locales globally was published in 2016. He is a co-founder of the Global Competence Certificate Program, which provides blended professional development for educators. Gaudelli is a frequent keynoter at international conferences and guest lecturer at various universities, having previously served as an executive board member of the John Dewey Society and College and University Faculty Assembly for the National Council for the Social Studies. Gaudelli was a member of the South Orange-Maplewood (NJ) Board of Education, 2011-2014. He was named a Rutgers 250 Revolutionary Fellow in 2016. Haq is the former UN Under-Secretary-General for the Department of Field Support (2012 to 2014). She most recently served as the Vice Chair of the High-Level Independent Panel on Peace Operations for the United Nations (UN) . She has over 39 years of UN experience including 19 years of field experience. She was the last Special Representative of the Secretary-General (SRSG) in the UN Integrated Mission in Timor-Leste. She has also held the positions of Deputy SRSG and UN Resident Coordinator in Sudan, as well as Deputy SRSG and UN Resident Coordinator in Afghanistan. In addition, Ms. Haq has held senior positions within the UN Development Programme and has served as UN Resident Coordinator in Malaysia and Laos. She currently serves on the Board for the Centre for Humanitarian Dialogue, on the Secretary-General’s Senior Expert Group on Human Rights Up Front, and the Center for International Peace Operations zif, Berlin. Rosenberg is a Pulitzer Prize-winning journalist and author. She co-authors the Fixes column in the New York Times and is co-founder of the Solutions Journalism Network. Her books include Children of Cain: Violence and the Violent in Latin America and The Haunted Land: Facing Europe’s Ghosts After Communism, which won the Pulitzer Prize and National Book Award. She has written for dozens of magazines, including The New Yorker, Rolling Stone, Foreign Policy and The Atlantic. She is the author, most recently, of Join the Club: How Peer Pressure Can Transform the World. Most recently, Kashyap served as United Nations Resident Coordinator & Resident Representative of the United Nations Development Programme (UNDP) in Jamaica, Bahamas, Bermuda, Turks & Caicos and Cayman Islands from 2011-2015. Since 2000, Arun was associated with a number of highly visible UN programs to achieving Millennium Development Goals (MDGs), Business Call to Action (BCtA). Arun has just launched an advisory company, KASHYAP DEVELOPMENT ASSOCIATES, to deliver (i) Integrated analysis & Implementation of evidence-based initiatives, (ii) Partnerships, and (iii) Innovation to foster equity, strengthen welfare, and build resilience of marginalized households and communities while achieving SDGs and combating climate change in developing and middle income countries. 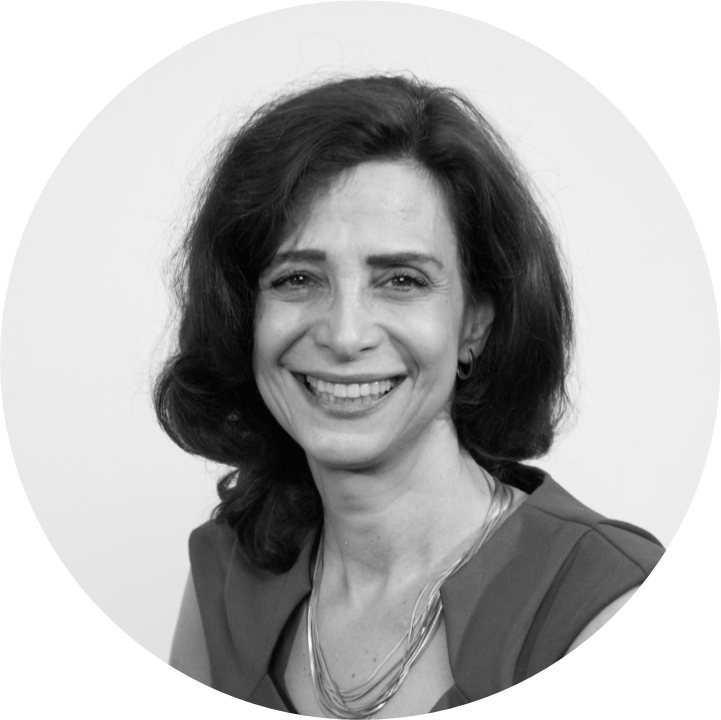 Siracusa was a classroom Spanish teacher for over 20 years, and is the co-founder of Calliope Global and #TeachSDGs and promotes educational excellence by serving as an Executive Team member of the UN Global Goals Education Task Force.